Home Tags Articles tagged with "Eagle Scout"
Three years ago a Maricopa woman rushed her husband to the emergency room. Doug Urbaniak, 64 at the time, wasn’t feeling well and momentarily lost consciousness. Once admitted to the hospital, Urbaniak woke up and gave his son a call – but he ended the conversation abruptly. Urbaniak has been paralyzed from that moment on, his wife Pat Urbaniak said. Finally, after spinal taps and bloodwork, doctors diagnosed Doug with the West Nile virus, an infection transmitted by mosquitos. A physician said he probably contracted it in the backyard of their Maricopa home, Pat said. 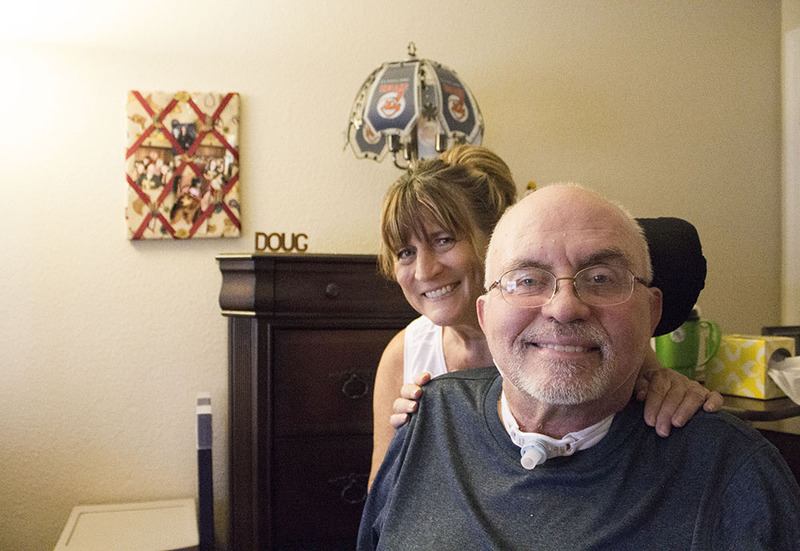 After lengthy hospital stays, Doug was transferred to a skilled nursing facility in Scottsdale for rehabilitation. He would spend almost three years there and regain the use of one arm. Five months ago Urbaniak finally returned home. Pat is Doug’s dedicated companion and caregiver. At night Pat is summoned by Doug’s bedside bell every two hours to suction his lungs, which Pat said are also paralyzed. “When he rings I zoom back out here,” Pat said. At the couple’s house, Doug enjoys the company of his cocker spaniels and the kind of comfort, Doug said, only being at home can bring. But one obstacle has prevented him from one of his most basic needs: bathing. The Urbaniak’s shower is not wheelchair accessible, forcing Pat to help Doug bathe using the sink and a wet cloth,a process Pat said takes over an hour to complete. “It has really been challenging,” Pat said. Pat sought resources to help with the cost of installing an appropriate shower she estimated would have cost her thousands of dollars in labor and supplies. 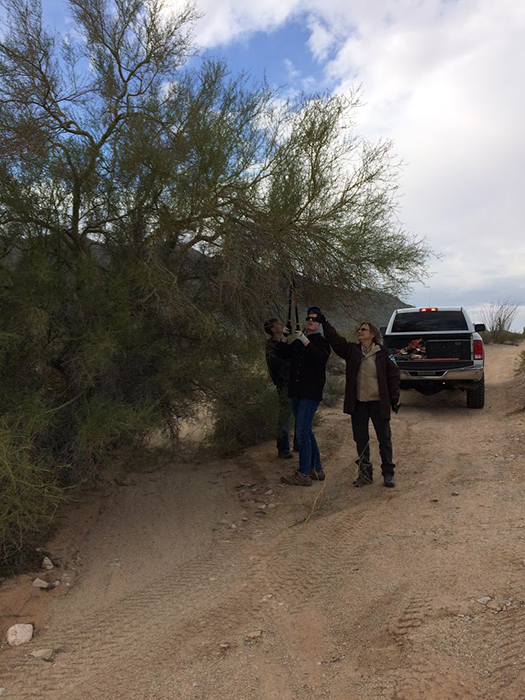 Despite her outreach to county and city agencies, she said every effort led to a dead-end. That’s where a group of teenagers come in. 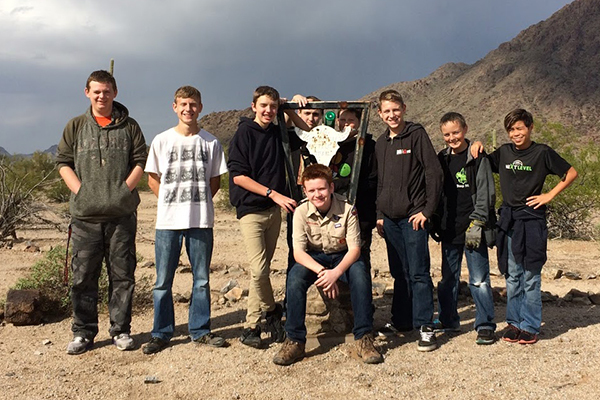 Seventeen-year-old Ryan Hahn is a Boy Scout in local Troop 993. 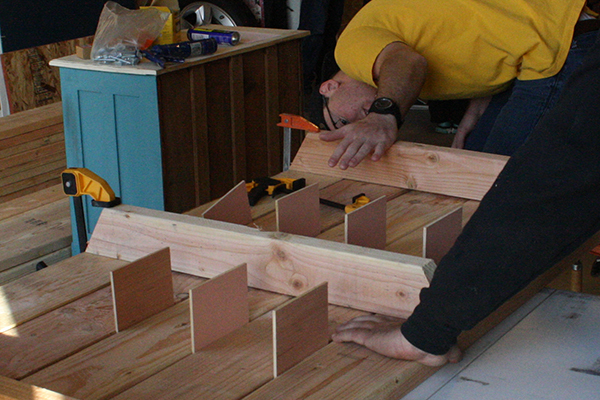 He was looking for a project that would help him gain rank as an Eagle Scout. Ryan’s dad Gerry Hahn is the troop’s committee chair. 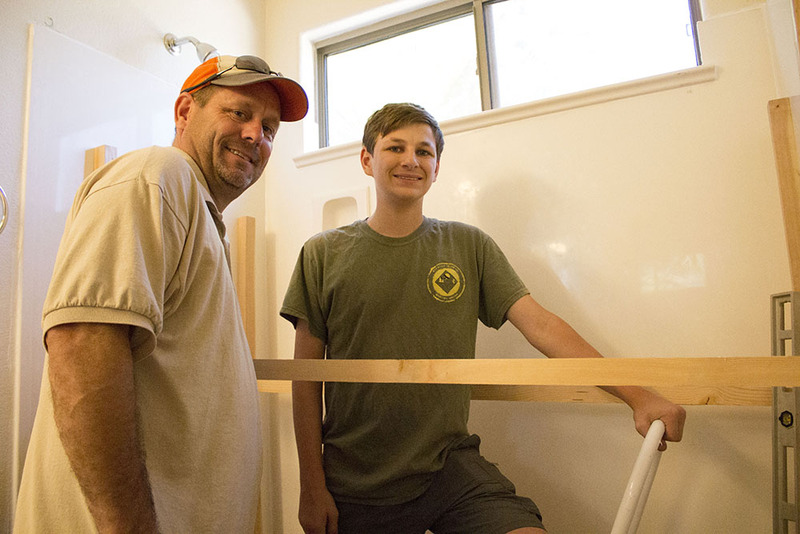 Gerry heard about the Urbaniak’s from a friend and thought the shower installation would be a way for his son to help the community, as well as complete his Eagle Scout project. Gerry Hahn said to earn rank as an Eagle Scout, scouts are required to plan, develop and give leadership to a project that is of no cost to the person whom it benefits. 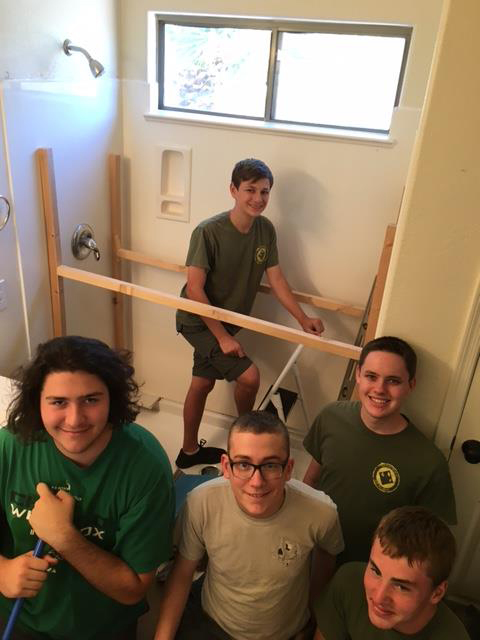 The Urbaniak’s shower remodel was also an opportunity, Hahn said, for scouts to participate in a project that is “outside of the box” compared to previous Eagle Scout projects. 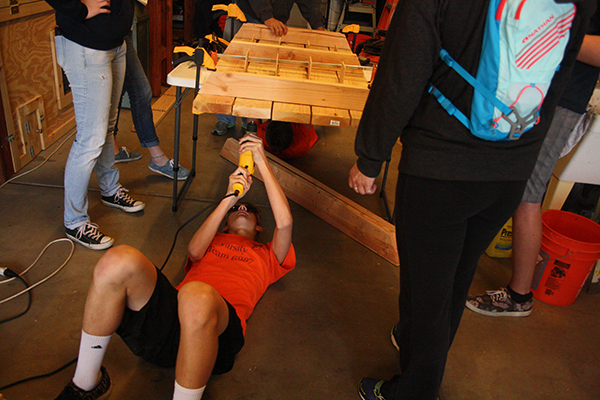 In the past, Hahn said, scouts have gained rank by completing various projects in local parks around the city. Ryan began fundraising for the project three months ago by holding a car wash and asking for donations from family and friends. 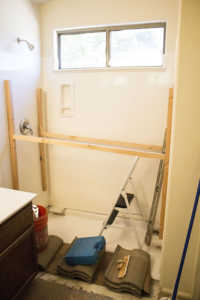 The remodel cost nearly $1,000, Hahn said, with the custom shower base requiring the majority of that cost. The shower base is compliant with the Americans with Disabilities Act, and will allow Urbaniak to shower himself. “He’ll be able to sit in a shower chair, and I’ll push him in, and he’ll be able to hold a handheld (nozzle) and shower himself. (It will) give him a little dignity,” Pat said. 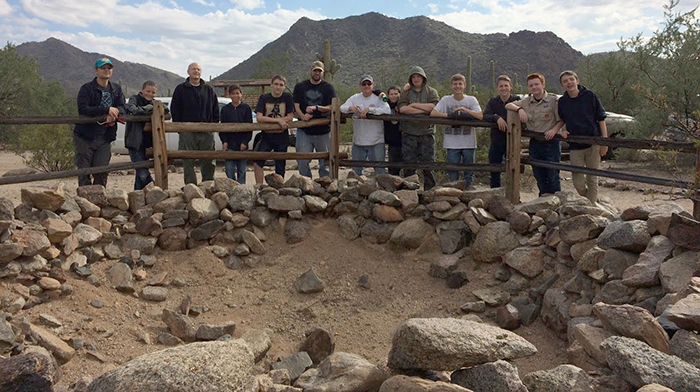 Last week, Ryan and Gerry Hahn, along with four other scouts, began the remodel. It took the teens 2.5 days to finish the project that included demolition and the installation of sheet rock, trim work and the shower base. 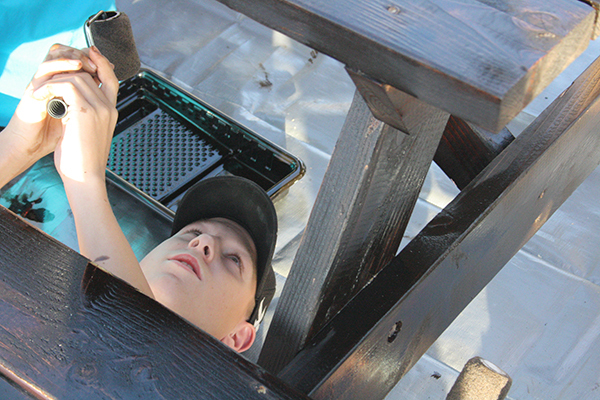 “It feels really cool to help out people that couldn’t help themselves,” Ryan Hahn said. For Urbaniak, the new shower not only represents a form of independence, but the project also holds sentimental value to him as well. Prospective Eagle Scout James McNelly completed his Eagle project Saturday by working on Mormon Battalion Trail on Bureau of Land Management land. The 14-year-old Life scout is an eighth grader at Legacy Traditional Academy. He is a member of Troop 987. 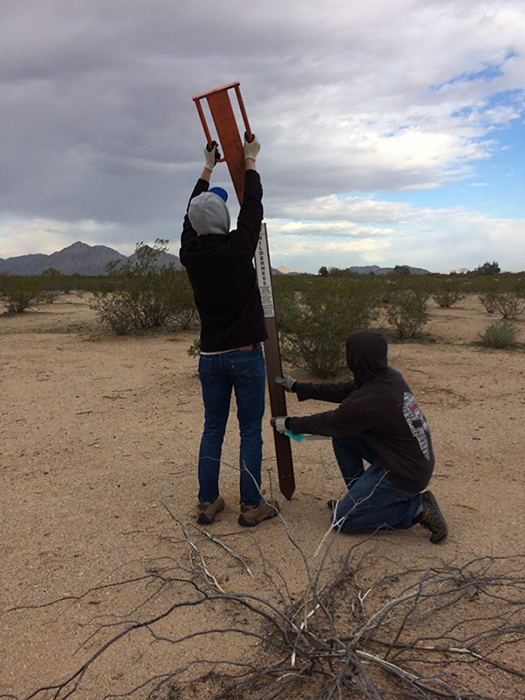 Under the supervision of Melinda Mahoney from BLM’s Phoenix District, James organized his crew of volunteers to install trail signs, remove old signs and clear debris. 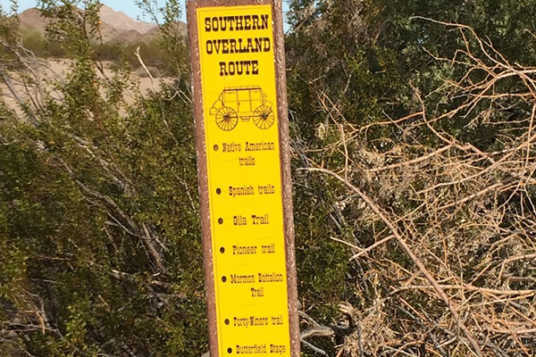 Access has been closed to vehicles for several years, and BLM is working to re-open some areas to motor travel again on a restricted basis. That section of the Mormon Battalion Trail is just north of State Route 238 west of Maricopa and follows the historic Juan Bautista de Anza Trail. Jeff Gardner is organizing a 5K to benefit F.O.R. Maricopa as his Eagle Scout project. 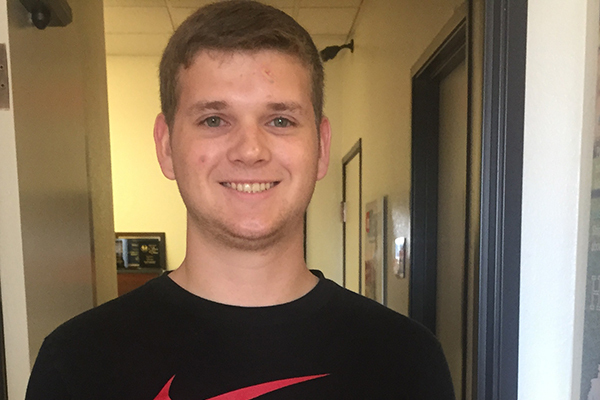 A Maricopa teen is organizing a 5K run to benefit the F.O.R. Maricopa food bank. 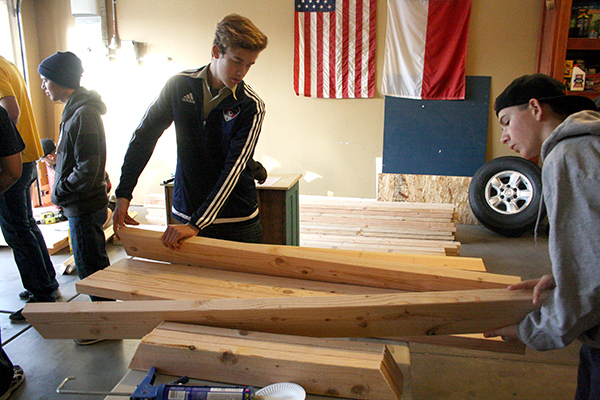 Jeff Gardner, 17, a student at Sequoia Pathway Academy, is working on an Eagle Scout project. “It is to help restock after Christmas when the shelves get empty,” Jeff said. 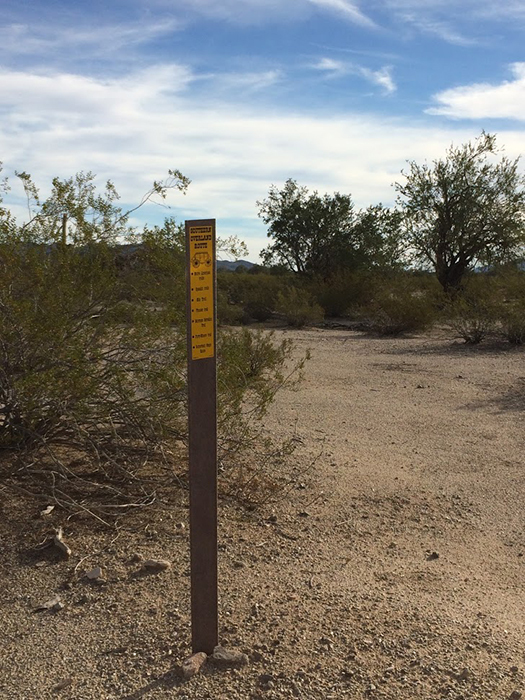 Calling it the Maricopa Food-Raiser, he plans a 5K run and one-mile fun run/walk. Entry in the 1-mile run is three cans of food. To compete in the 5K, bring five cans. The food goes “straight to the food bank,” he said. The event is Jan. 21 at Copper Sky Regional Park. Registration is at 7:30 a.m. 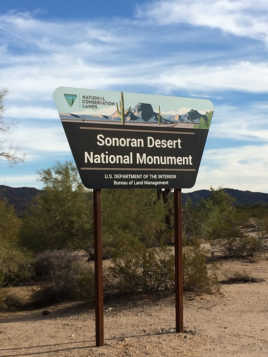 The one-mile run sets off at 7:45 a.m., and the 5K starts at 8 a.m.
To re-register or to volunteer for the event, contact Jeff between 3 and 7 p.m. at 480-772-0864. 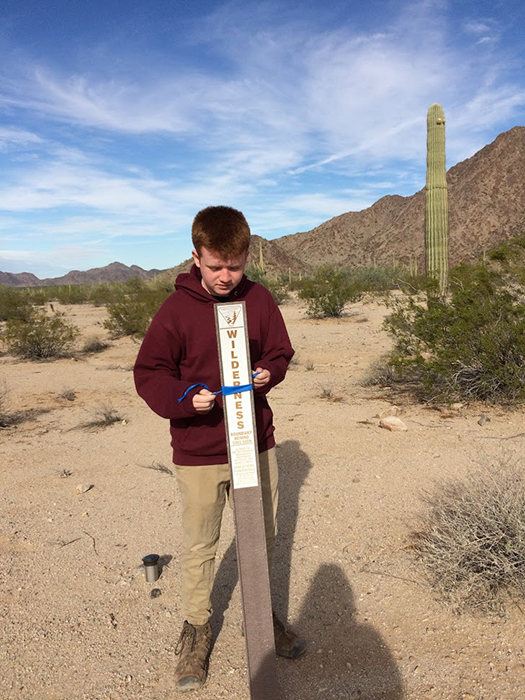 Asa Miller, 16, a student at Maricopa High School, is completing his Eagle Scout project at the Miller family home in Cobblestone. 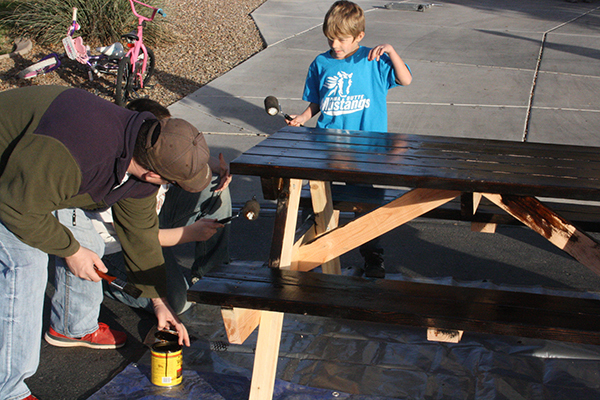 Inviting everyone he knows, he organized a group to make benches and picnic tables for the residents of the Against Abuse women’s shelter in Maricopa. He is the son of Kimberly Miller and Jeffrey Miller. 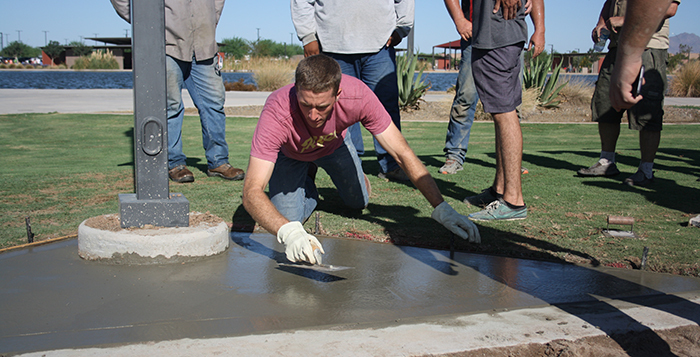 Maricopa Parks Manager Mike Riggs has about 40 improvement projects in city parks that are necessary or have been requested but have not reached the top of the priority pile yet for his busy staff. He supplies local Boy Scouts leaders with the list for prospective Eagle Scouts to tackle. 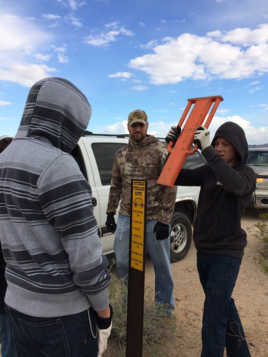 Saturday, 17-year-old Jeremy Sellaro brought his helpers to Copper Sky Regional Park’s horseshoe pit for the labor part of his leadership service project. 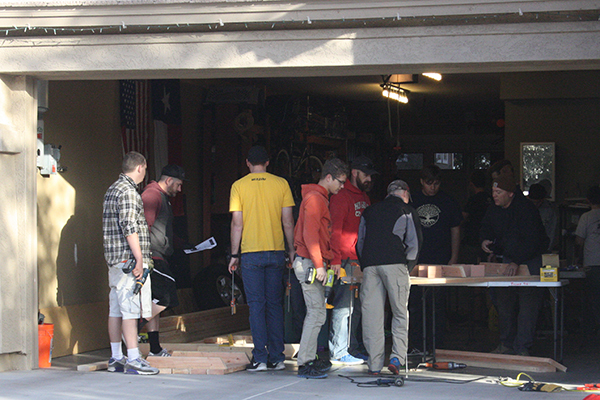 The group laid concrete slabs linking the pit border to the light fixture. 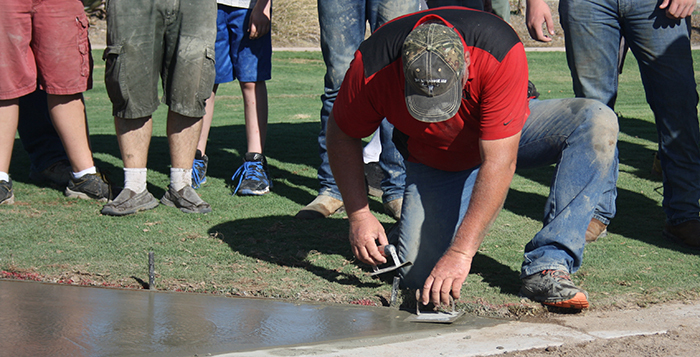 Riggs said benches had been requested at the pits, and the slabs will allow for the future placement of seating. He also said the project will save his staff hours of work each year when mowing around the pit. 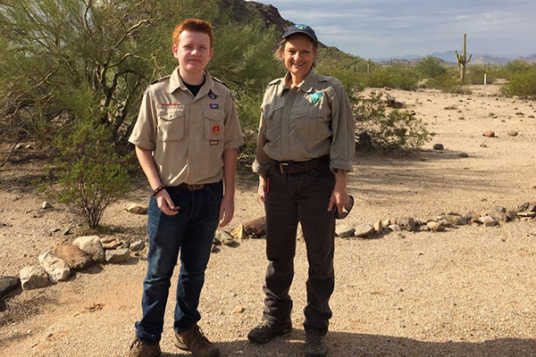 Sam Coles, 15, of Maricopa, is working toward becoming an Eagle Scout. 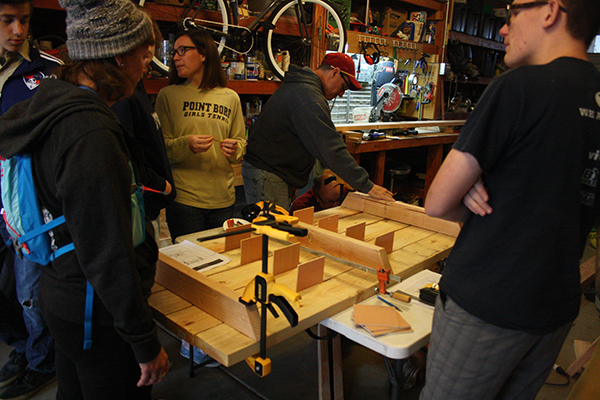 That involves completing his Eagle project, an event he must organize to benefit the community. 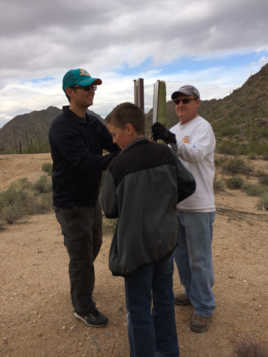 He brought together adults and kids to spread gravel at specific locations in Pacana Park to help prevent erosion and “just to make it look nicer.” Sam picked the project from a list of volunteer opportunities from the City of Maricopa parks department.